Yonsample is the most prominent modern metal band to have emerged out of East India. They have been labelled as one of the Top Metal Acts of the country by Pepsi MTV Indies. The band had taken the Indian Metal Scene by storm in 2010 with their critically acclaimed debut EP 'Paraphernalia' which was labelled by Rock Street Journal as the second best EP release of 2010 and rated 8.5/10 by Headbangers India. The band had also claimed the winners title of prestigious competitions most notably IIT Chennai(Saarang), IIT Guwahati (Rockophoenix) and IIT Kgp(wildfire). The band went on to be a part of Great Indian Rock XIV which was headlined by Meshuggah and Tesseract, and have also shared the stage with bands such as Parkway Drive, Pain of Salvation, Thurisaz and the likes. Yonsample has headlined various college festivals and is known for their high octane, destructive live set. 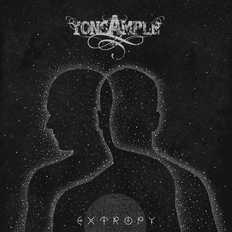 After a year long break, Yonsample released their debut album 'Extropy', which gained a lot of recognition worldwide. "The boys from Kolkata have taken the Indian Scene by storm with their power packed live performances and their impressive debut EP which we here at RSJ highly recommend"
"The guys live up to all the hype. On the whole, I’d give the EP an easy 8.5/10, and a safe spot in my list of top five albums of the year." "An intriguing take on the modern post-thrash trends if we exclude the trite clean vocal insertions; the music is jumpy and technical not lacking in the more dynamic department either, and the brooding guitar tone creates a lot of atmosphere, too. The groove is well mixed with the faster Swedish leanings the latter bringing a lot of nice melodies with them which contrast to the main gruff low-tuned death metal vocals." "Paraphernalia is a stellar effort and should rank among the top albums of 2010 in India. Yonsample couldn’t have asked for a better debut EP." "Yonsample sound like a band extremely serious about their music and seem to have a musical quotient that is free of influence from purist and fanboy dogma alike."